But the individuals and gangs peddling the illegal substances across towns like Thame are just the tip of an iceberg which starts in big cities like London and targets counties and towns for their activities. 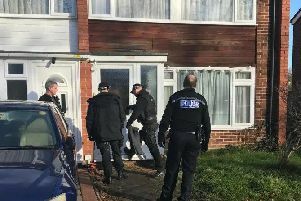 Now Thames Valley Police has released a fascinating video explaining the County Lines - the name given to drug dealing where organised criminal groups (OCGs) use phone lines to move and supply drugs, usually from cities into smaller towns and rural areas. 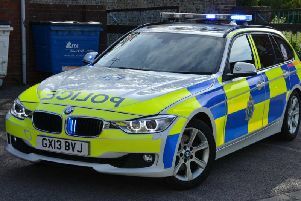 A police spokesman said: “They exploit vulnerable people, including children and those with mental health or addiction issues, by recruiting them to distribute the drugs, often referred to as ‘drug running’. Fans of TV shows such as The Wire will be all too familiar with the process. But now Thames Valley Police has released these lists of warning signs to watch for the activity in your area. Dealers often entice the vulnerable person into allowing their home to be used for drug dealing by giving them free drugs or offering to pay for food or utilities. These OCGs are very selective about who they target as “cuckoo” victims. Often people they target are lonely, isolated, or frequent drug users themselves. The OCGs often operate from a property for a short amount of time, frequently moving addresses in order to reduce the chance of being caught. What to do if you are suspicious? If you’re concerned about drug-related crime in your area or think someone may be a victim of drug exploitation, please call us on 101 or 999 in an emergency. You can also report online or contact Crimestoppers anonymously on 0800 555 111. Follow TVP’s Stronghold activity on social media using #TVPStronghold and #countylines.